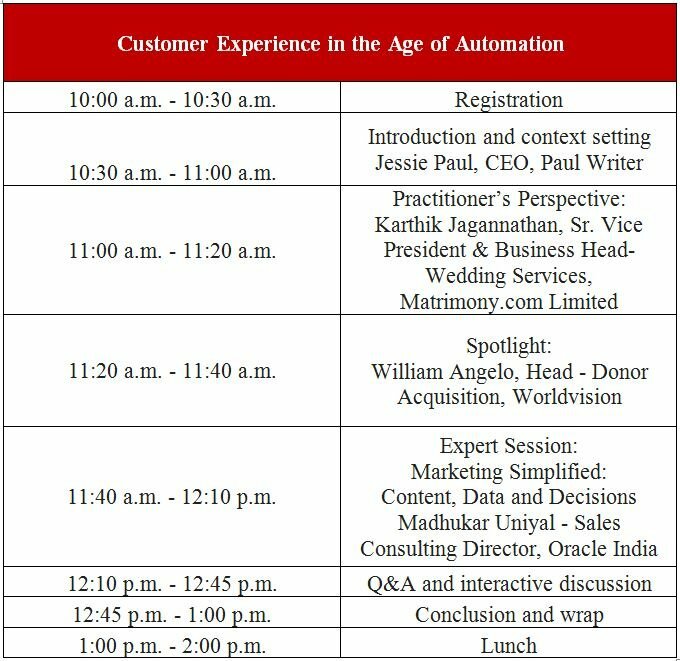 This program will discuss how best to deliver value to customers and drive business benefits by creating a better customer experience and harnessing the power of marketing automation. The session will see experts share their views on CX and will conclude with clear takeaways. Attendees also receive a certificate of participation. There is no cost involved to be a part of the roundtable. We look forward to you joining us for the roundtable and contributing to the conversation! For any queries, you can write to vishak.kashyap@paulwriter.com, chandrachood@paulwriter.com or call 9964195859/ 9886842412.